Girl is NOT a 4 Letter Word: Puma XLV Limited Edition Book. Puma XLV Limited Edition Book. 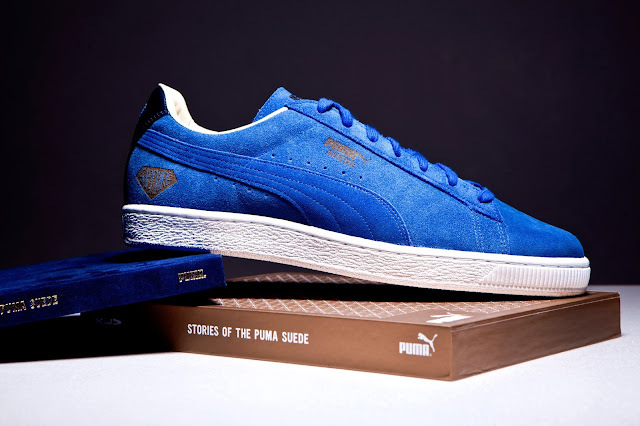 Honored to be included in the limited edition book "XLV Stories of the Puma Suede" (2,000 total) produced by Puma and Acclaim Magazine. Forty five people from music, art, dance and sport have their personal stories and history wearing the suede detailed in the book, which commemorates the Suede's 45th anniversary. Another skater represented is Bucky Lasek - I'm excited to read his story. As some of you may know Puma was my shoe sponsor back in the day and I still wear their shoes now & love them!